What, a movie on name of Taimur Ali Khan? Home / Entertainment / Bollywood / What, a movie on name of Taimur Ali Khan? Bollywood’s star kid Taimur Ali Khan, who is the son of actors Saif Ali Khan and Kareena Kapoor Khan, is turning 2 years next week. Each day, Taimur’s picture is breaking the internet and he is paparazzi’s favourite. A few weeks back we got the news that the popular star kid has a doll named after him in Kerala. And if that was not enough, another interesting news about Taimur is breaking the internet. A movie is all set to be produced which would be titled after the youngest ‘Nawab of Pataudi’ Taimur’s name. Yes, you heard it right! According to the reports of Mumbai Mirror, Bollywood director Madhur Bhandarkar has registered the title of his next movie as ‘Taimur.’ Well, as of yet, we do not know if the director is planning to make a film on the star kid or it’s just the name. Way back, when Saif and Kareena had announced their son’s name it created a huge controversy. The couple were badly trolled for naming their son after the Mongolian warrior Timur, to which parents Saif and Kareena had clarified that Taimur means Iron. On Friday evening, a few adorable pictures and videos of Taimur Ali Khan with mom Kareena Kapoor Khan went viral which showed how excited Taimur was after seeing the paparazzi and shutterbugs. 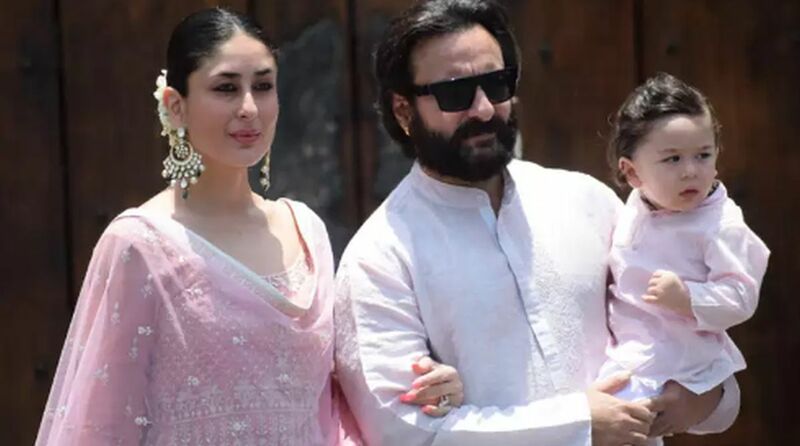 On the other hand, Saif Ali Khan and Kareena Kapoor Khan have planned a Safari in Cape Town to ring in Taimur Ali Khan’s second birthday on December 20, 2018.